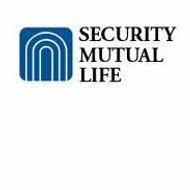 A review of Security Mutual Health Insurance Company of New York finds the Security Mutual Life Insurance Company of New York, based in Binghamton, New York. The company does not have “Health” in its name, and it also does not offer health insurance coverage. Shopping for health insurance? Put your zip code into the box above and you’ll be able to search through health insurance quotes from several providers in your area. Instead, as the company’s name implies, Security Mutual Life Insurance Company of New York sells life insurance and annuities, as well as disability and long-term care insurance. The company also helps with financial and retirement planning. If you need to contact the company, you can call them toll-free at 1-800-765-6668, or submit a question or comment through the appropriate web form. Additionally, you can find a company representative in your area by clicking on the state locator. Security Mutual Life Insurance Company offers many financial vehicles for you to plan for the future, protecting your family and your assets for years to come. In terms of life insurance, the company sells individual universal life, term, joint and last survivorship, and participating whole life. The insurer also sells some plans that can be paid for through worksite payroll deductions. Security Mutual Life Insurance Company of New York also provides administration services for many of these plans. If you’re a policyholder with the company and need to submit a claim, you should click on the “Resource Center” tab on its website, and then pick “Individual Claim Forms” from the menu. All life insurance claims for payouts on the death of the policyholder must be accompanied by a death certificate. If you need a waiver of premium for disability form, you can find that there as well. All claims should be mailed to the address above, directed to the attention of “Individual Claims.” You should also let your agent know when you’re submitting a claim. Industry ratings company A.M. Best Company has given Security Mutual Life Insurance Company of New York an “Excellent” rating of “A-” for its financial strength, as well as a very good “a-” rating for its issuer credit standing. A.M. Best sees the insurer as having a stable outlook for the future. These ratings show that you should be able to trust that Security Mutual Life Insurance Company will be around in the future to pay out any claims and benefits owed to you as a policyholder. If you purchase insurance and financial policies through a provider with a negative rating or outlook, you run the risk that the company will no longer be able to fund any claims from you, even after years of you paying your premiums. Although the insurance company is not accredited with the Better Business Bureau, it has received a rating of “B+” from the BBB. It is not necessary for a business to get accreditation from the BBB, and the BBB will rate the company anyway based on the complaints or comments it receives from consumers. Since 2009, Security Mutual Life Insurance Company of New York has had three complaints registered with the Better Business Bureau from consumers. Security Mutual Life Insurance Company of New York can’t help you find health insurance, but we can! Put your zip code into the box below and we’ll return a list of health insurance rates from insurance providers in your area.